The ram luffing knuckle boom crane series has been extended by this model which is especially characterised by a very compact design. Since space on deck is an increasingly important issue in the offshore sector, Liebherr has developed a new solution which meets the customers’ requirements. With a small tail swing radius of less than 3 metres the new RL-K 2600 significantly reduces restriction on freedom of movement on platforms and vessels. Thereby the number of possible applications will be increased. The small tail swing radius is being ensured by the space saving knuckle boom design without machinery house. The crane has a lifting capacity of up to 50 tonnes and a working range of up to 40 metres. Supply and maintenance work therefore fall within the scope of applications. Because of the possibility to equip the crane with either hook or a riser/ gripper the RL-K also covers pipe handling tasks. This makes the crane applicable on both fixed platforms as well as vessels such as drill ships. 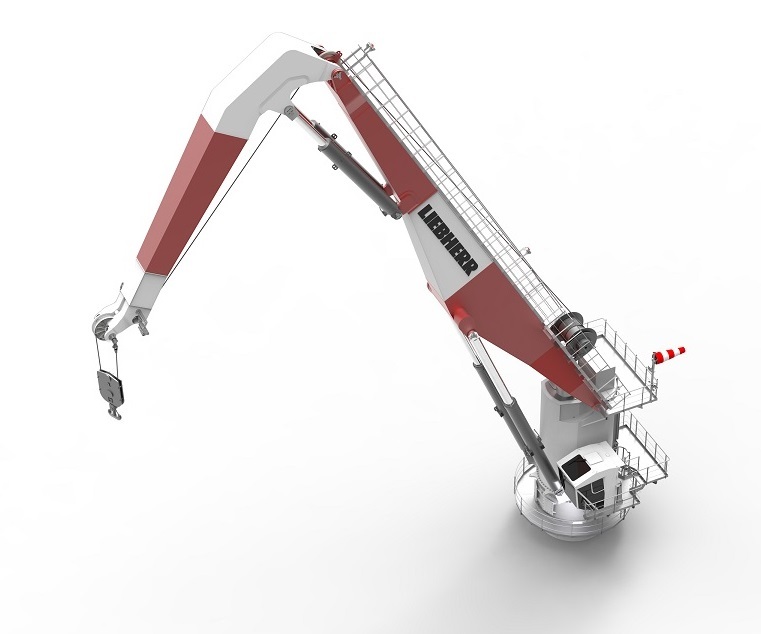 In May of this year Liebherr relaunched the compact board offshore crane series with the designation CBO. Equipped with a main hoist capacity of 100 tonnes, the CBO is appropriate for general purpose applications in the oil and gas industry. Its main unique selling proposition is also the very compact design. The tail swing radius of the CBO is less than 4 metres.